The Islamic State is an increasingly menacing threat to the Middle East, and the extremist group uses brutal tactics and propaganda to instill fear in their enemies. 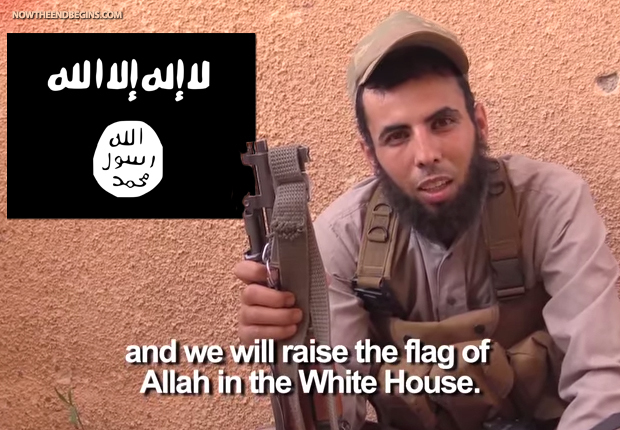 And now they have threatened to raise their flag over the White House, according to a Vice documentary published on the same day that President Barack Obama authorized airstrikes on ISIS in Iraq if U.S. personnel are threatened. The Vice News documentary, part one of five on the well-armed and battle-hardened group of extremists rampaging through northern Syria and Iraq, provides an unprecedented look at ISIS militants and converts in their de facto capital of Raqqa in Syria.